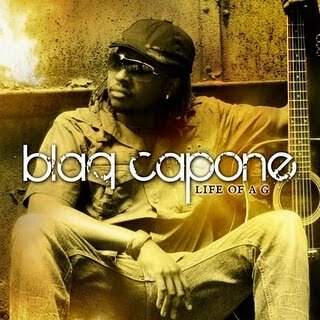 iDancehallReggae.com::Caribbean Lifestyle Media::: BUZZ: Blaq Capone's "Life of a G"
BUZZ: Blaq Capone's "Life of a G"
Dancehall Reggae's latest sensation, Blaq Capone, have teamed up with Jamaica's number one Roots Reggae producer, Kemar 'Flava' Mcgregor, to bring you the highly anticipated debut single, "Life of a G". Available now on itunes, zojak and www.flavamcgregor.com. "Life of a G" has been receiving heavy rotation in the UK and has DEBUT AT NUMBER 1 ON THE UK TOP 10 CHART!! One music critic describe the single as "the social commentary that tries to tear down the glorification of the violent life style and show the unfortunate grim reality of it...Capone's delivery is solid." All radio dj's can submit your information to get Capone new single "Life Of A G" on dubplate for FREE this is just a part of his promotion for his new single. Go to www.flavamcgregor.com to submit your information for the dubs and radio drops.